I read this article and found it very interesting, thought it might be something for you. The article is called Are rental deposit protection schemes in need of urgent reform? and is located at https://www.rocketlawyer.co.uk/blog/deposit-protection-schemes-need-urgent-reform/. Deposits have long been one of the biggest sticking points in the property market. It’s obvious why landlords want them and even many tenants would probably recognise that the principle itself is reasonable. The problem generally comes when tenants want, or need, to move houses and bump up against three realities. Firstly, it can take longer to get their deposit back than they would like. Secondly, they may not get their full deposit back or really understand why not and thirdly, they are very likely to find themselves paying for a deposit on their new home before they are refunded their deposit on the old one or even know how much they are going to get back. According to figures from Which?, 16% of tenants have had to wait over four weeks for them to be refunded their deposit. Sadly, there is no information on why it took so long and there are a number of possibilities, some of which relate to failings on the part of the tenants and others on failings on the part of landlords. For example, the delay might have been caused by an issue with the condition in which the tenants left the property, but it might also have been caused by landlords waiting until the end of the month to do their administration. One way to address this might be to mandate that deposits be returned within a certain period of time unless there are issues which need to be addressed, in which case the landlord would be required to communicate these issues to the former tenants and keep them appraised of progress. Of all the issues surrounding rental deposits, this may be the single, biggest issue. A whole 50% of tenants surveyed said that they had had deductions made for cleaning and 81% of these tenants felt the deduction was unreasonable. Damage to property was another frequent reason for deductions, reported by 32% of tenants, 75% of whom felt the deduction was unreasonable. Of the tenants who felt they’d had money unfairly deducted, 55% took the matter further although there is no information on the result. This suggests a lack of clarity about what constitutes acceptable deductions from deposits. One way to address this would be to insist on much greater clarity regarding what is expected of tenants at the end of a tenancy and, correspondingly, what are and are not reasonable deductions. This would need to be backed by an effective, fair and affordable disputes-resolution process. If the deposit system continues in its current form, it is hard to see how his can be avoided, since the landlord of the new property will want the deposit before the tenants move in while the landlord of the old one will need the tenants to move out before they can assess the condition in which they left the property. It may be, therefore, that in the long term the UK needs to move away from cash-based deposits and replace them with an alternative such as tenants’ insurance. This would give landlords the security they need without the need for tenants to make significant up-front payments. For further information read Deposit protection schemes. 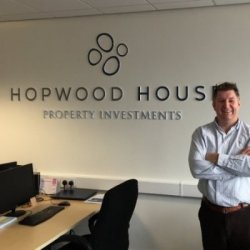 Hopwood House is a property investment firm based in Manchester, specialising in high-yield investments in the UK property market. What does the future hold for student property and HMOs?